To those unfamiliar with computing history, the world’s first general-purpose computer was the ENIAC (Electronic Numerical Integrator and Computer). Made public in 1946, this 30-ton “giant brain” had a military purpose — it was created to help the US Army calculate artillery fire. And they were hardly an anomaly — at the same time, Grace Hopper, the writer of the first computer program, was working on the Mark I at Harvard for IBM. Thanks to a labor shortage caused by WWII, early computer programming was mainly women‘s work. 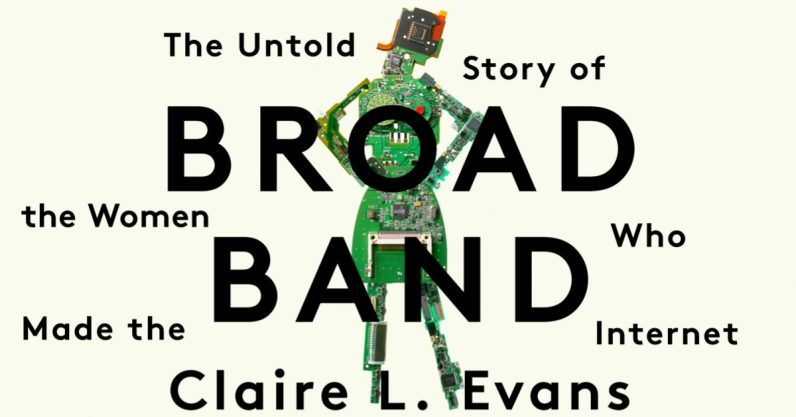 These women‘s stories make up the first few chapters of the book Broad Band: The Untold Story of the Women Who Made the Internet. Written by writer and musician Claire Evans, the book spans the history of how women created the systems we rely on today to do, well, everything, and also how they got fucked over by the industry they served as the foundation of. Evans’ chapters jump decades at a time, and manage to not only draw attention to untold stories — such as that of Project One, the female-heavy tech commune in San Francisco that made the first public computerized bulletin board system in the 70s — but also shed new light on the well-known stories of Ada Lovelace, Grace Hopper, and more. The topic of women being written out of STEM history is not a new one, but Evans writes the story in a way that’s both personal and utterly non-dry, a feat for such an ambitious history book. All the stories flip the idea that computing is a cold, calculating, and independent endeavor into a highly social one about connectivity and community, a trait which is regularly assigned as feminine. This Thursday, March 26th, Broad Band author Claire Evans is joining us on TNW Answers to host a live Q&A. You can ask her anything about the history of women in computing, cyberfeminism, her pop group YACHT, and how we can make tech female again. Send in your questions NOW and join us Thursday for her answers.